Bunnings Group Limited is planning to develop a large mixed use location in Newstead along with a push for further national expansion. 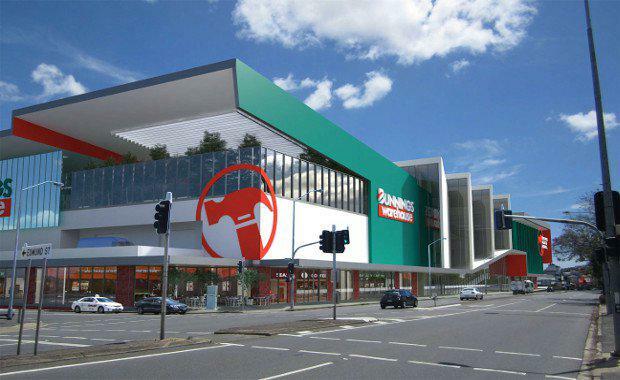 A development application has been submitted for a Bunnings on Breakfast Creek Road. It will take up 17 206.84 squared metres which will house an outdoor nursery, main warehouse, trade sales area, bagged goods area and a café. The ground floor will house six retail/office spaces for separate tenants with a 1 580 square metre area incorporating a 'large entry foyer and glazing, battening and articulation in the facade' bringing the total area of the development to 18,883.77 square metres. subsidiary Bunnings has a plan to expand nationwide by 20 stores, with a planned 10-14 planned long term in their expansion program to improve Australia's $42 billion home and outdoor market. Bunnings currently has 190 warehouses and 41 small-format stores as well as 35 trade centres, most of which were leased to Bunnings from developers. With this project planned to get underway in the near future, it is estimated that 540 construction and 230 permanent store jobs will be created.